Most women joke about the price of beauty. The painful shoes, plucking, waxing, and the cost in dollars for the piles of beauty products we consume each year. However, we must also consider the cost to our health. There are no laws governing the production and safety standards of beauty products so consumers need to be careful about what they are exposing themselves to. Most bath and beauty products are full of toxic chemicals and heavy metals that can build up in our bodies over time and cause health problems, cancer, and even do damage to our DNA. Lead builds up and is stored in your body and can result in memory problems, mood disorders and cause miscarriages. The Environmental Working Group has a website www.ewg.org that has data on over 74,000 products so you can easily search their database to find out how dangerous the products in your bathroom are. A Canadian study in 2011 tested 49 cosmetic products and each one had trace amounts of lead, arsenic and cadmium. The worst offenders were lip glosses. All of the mineral makeups they tested contained nickel, 96% had lead, 90% had beryllium. There is no safe exposure level for lead, and it can cause permanent brain damage to fetuses and young children. 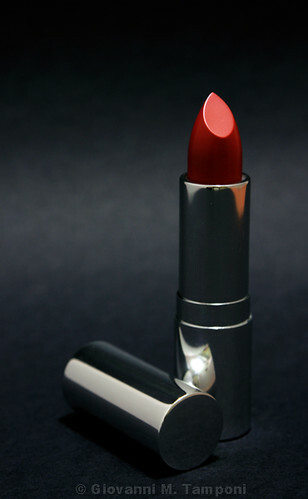 The FDA ran tests in 2009 and found lead in every red lipstick it tested, though they maintain that the amounts found are very low and do not pose a health concern when used as intended – this means it must not be ingested. To me this means that it should at the very least have a safety warning on it so that mothers know they must be kept out of reach of children. Little girls love to dress up like their mamas, and who can resist letting them play with lip gloss or lipstick? Parents need to be aware that while the lead in lipsticks and lip glosses may not pose a threat to adults who don’t put on layer after layer and lick it off, that is exactly what a toddler will do. The truth is, even grownups ingest a certain amount of lip products. How many times have you alerted a friend that she had lipstick on her teeth? Lip glosses have also tested high for arsenic! In 2009, the Campaign for Safe Cosmetics ran tests on face paints commonly used on children and found that each of the ten products it tested contained lead, and 6 of them also had nickel, chromium or cobalt in the paints. Consumers need to get vocal and demand a ban on lead in beauty products. Groups have made an impact in other areas such as the Campaign For Safe Cosmetics, which last year issued a story called “Baby’s Tub is Still Toxic” exposing Johnson & Johnson’s use of a formaldehyde releasing preservative in their baby shampoo. The company released a statement vowing to phase out the use of this preservative even though they claim that the amount in an entire bottle of shampoo is equivalent to the amount you would be exposed to eating a single pear or apple. Cayla Crenshaw is a fashion expert and style writer who loves to analyze how cosmetics are changing. She often writes about anything from getting great deals on cosmetic brushes to the best new fashions.